Each of our awesome bar partners offer great drinks specials so you can feel like a VIP at every bar stop! 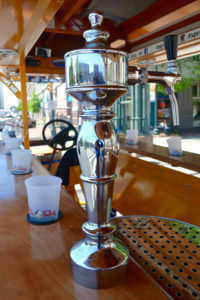 Make sure to check the routes pages to see what drinks and food specials are available on each Memphis party bike tour! Pony Kegs are permitted on our party bikes. We provide tap service, so all you need is the keg. Boscos in Midtown offers a $55 pony keg and is steps from the beginning and ending location in Midtown. Tin Roof, located Downtown, offers a $60 pony keg of Michelob Ultra and Budweiser or an $80 pony keg of Ghost River. We begin and end at Tin Roof, so this is SUPER easy. To take advantage of these deals, please contact each restaurant 4+ days in advance to reserve your keg. Contact Boscos at (901) 432-2222 or text Jock at (901) 233-2875 with your name, beverage of choice, and party bike date & time. We offer a 10% Military Discount. Simply reply to your confirmation email once booked with a photo of your Military ID. To receive your discount the reservation must be in the name of the ID sent or a spouse of the ID sent (NO EXCEPTIONS). We appreciate your service. Thursday night is College Night! Book a private ride with a college email and receive $50 off a Thursday booking. You may also reply to your confirmation email with a photo of your school ID to receive the discount.